The world is being invaded by Fire, Water, and Ice monsters! Help Prepper Justin fend off the invading hordes by using the magic elemental Totem Towers! Go for the high score by destroying monsters and grabbing coins. But be careful... the more monsters you destroy, the more likely you are to face the more powerful bosses! This was a game I made in 2 days for the GameMaker Studio Jam to familiarize myself with GameMaker Studio 2. It's buggy. It's Short. It's Hard. But it's unique and kinda cool! Control Prepper Justin with WASD. 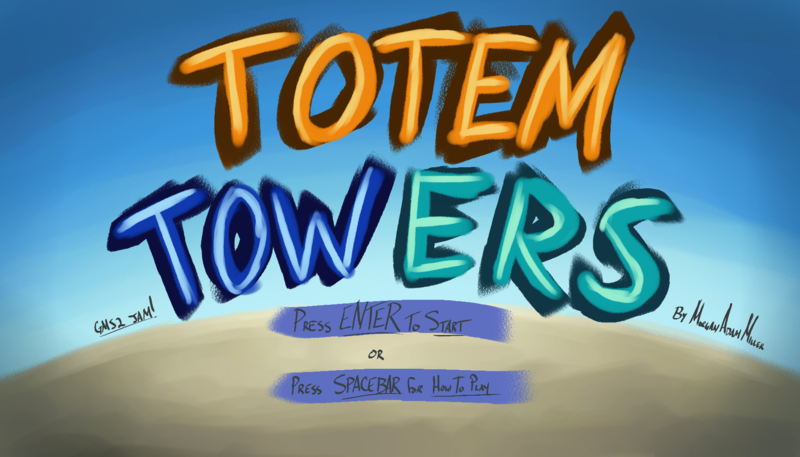 Shoot magical projectiles by moving to a Totem Tower and clicking the mouse in the direction you want to fire. Don't let your Totem Towers die. Don't let your heart die. Don't die. Note: All of the game's files, including the GameMaker Studio 2 project are included in the .zip.